You know when you find that fragrance that screams you and you just instantly fall in love with it, say hello to mine! Ariana Grande is one of my favourite singers so when she released her debut fragrance Ari I knew I had to get it immediately. 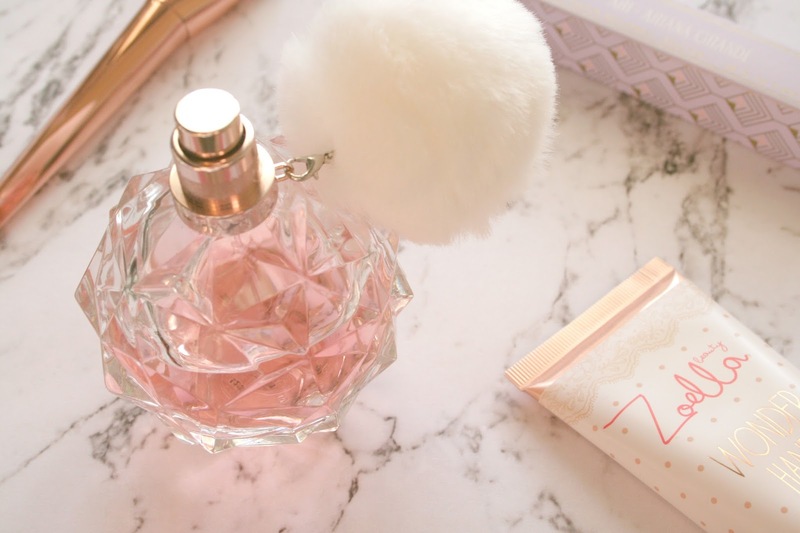 When it comes to fragrances I'm quite fussy, I don't like anything too strong or heavy, instead I love sweet, girly, floral scents and this is just everything I love and more. I'm dreadful at explaining scents though, have you ever tried too? So taking off the box the scents in this are sparkling fruits, spun with musks, woods & an addictive hint of marshmallow. See I would have never thought of any of that. I agree though it's real fresh and floral while being sweet but not too over powering. If you have yet to give this a sniff I'd recommend doing so when you're in a fragrance retailer because it is just divine. The different sizes are different prices starting from €28.99 and working it's way up to €48.99. Ariana also offers a Rollerball and Hair Mist in this scent which I obviously had to have because I am so overly obsessed with this scent. The rollerball is €13.50 while the hair mist is €18.00. Have you tried Ariana's debut fragrance yet? The bottle is just adorable. I've not smelled this yet, but I will next time I see it. Awesome post, this perfume looks good.